These PE flange plug caps are available in a range of six colors for easy identification and color coding of samples. The plastic caps are uniquely made for the 5 ml and 12 ml disposable polystyrene culture tubes as well as the 5 ml and 12 ml disposable polypropylene culture tubes. 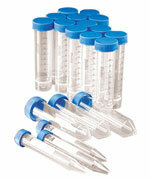 They will also fit into other test tubes, round cuvettes, or centrifuge tubes. Each plug cap features two flexible flanges to ensure a leakproof seal. 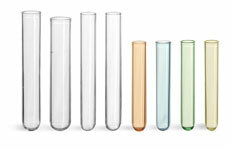 Will fit into test tubes and also in round cuvettes and centrifuge tubes. Caps have two flexible flanges to ensure a leakproof seal. 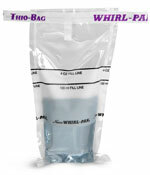 These plugs are available in cases of 1,000, and safely packaged in 1 heat sealed bag.